Very cool that you're having this fellow Dutchy as your guest! I'm pretty impressed with what Thomas has achieved... he's still only in his early thirties and is able to make a living as a fulltime professional writer. 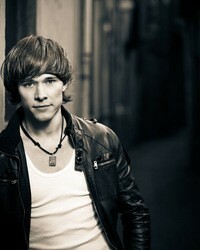 That must be hard to achieve by itself, but he's also writing in Dutch (small market) and writing fantasy and horror. "Dutch fantasy and horror literature" has to be Niche with a capital 'N': I'm a big fantasy fan and I'm Dutch but I could not name a single other Dutch writer in his genre. 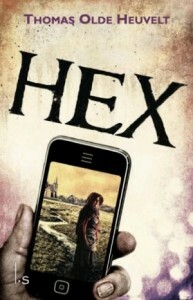 I believe I remember reading here on your (not a) blog you personally did not think his Hugo winning novelette was Hugo worthy, but I'm glad to read you liked Hex (but maybe you did like the novelette as well even though you didn't think it was Hugo worthy). 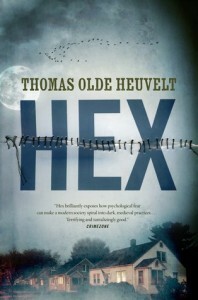 I'm not even sure why I like the fact that you liked Hex :) * Thomas very likely never dreamed of becoming a pioneer of Dutch horror/fantasy literature, but he could very well be paving the way for other young aspiring (Dutch) authors with his work. It's nice to see non-English fantasy writers (Cixin Liu from China being another recent Hugo winner) get some piece of the spotlight. There are many fantasy writers out there but not enough talented ones who make it, IMNSHO. 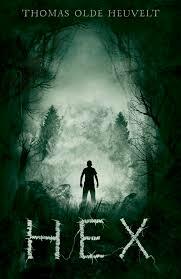 Btw, do translators get a Hugo trophy as well when 'their' book/novelette/... wins? They really should, I think. It would really scare me if I were a professional writer and I had to turn over MY work to someone else. The translator can really make or break your story and if you win a Hugo then the translator at the very least did not break it. Anyway, I wish you all a good time this Monday. Try to feed Thomas lots of pizza and other belly-growing stuff and see how uncomfortable he gets: judging by his social media pictures he does like to show off his fit, lean body. Please do your best to destroy it on behalf of us non-fit people.